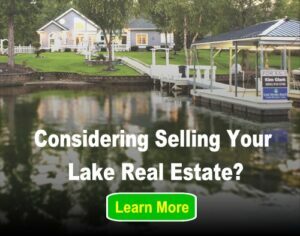 If you have a lake home or a vacation home, then you will need some appropriate reading material. Magazines that are theme based offer great ideas, interesting articles, how-to articles, and so much more. Southern Living is a magazine that concentrates on all aspects of the southern life. It includes recipes, places to visit, people, and so much more. The subscription is very fairly priced and will offer you hours of reading material. They have even done an article title “The Best Lakes Across the South,” so check it out! For those with thoughts of retirement on the horizon, look no further than Ideal Living. This lifestyle mag focuses solely on destinations tailored specifically for those looking to live an almost resort-like life after retiring. They often feature many lakes throughout the United States, as well as mountain homes and beach locations. This magazine offers great information on different locations found all over the world from lakes to mountains. It offers interesting information on local and exotic locations. Most people who love lake life also love nature and the great outdoors. National Geographic provides just that! Cottage Journal Magazine is inspired by seasonal homes and gardens that offer fresh styles and beautiful photography. You can find great articles that will give you great ideas for your lake home. It offers designs and creative ways to offer great ways to relax in your home. Similar to the Cottage Journal, Cabin Life is another great read focused on cabin living, which often times goes hand to hand with lake living! Though many of these can resemble newspapers more so than magazines, they are an excellent source of information to have sent directly to your home! Tiny Home Living, Is it For You?